With thanks to Jose Miguel Morales; without his help, this article wouldn’t have been possible. ‘Build it and they will come’ is the refrain that shakes ghosts out of the cornfields in Kevin Costner’s hit movie Field of Dreams; it’s a sentiment that betrays the often-static nature of America’s pastime. Football, on the other hand, has always been fast and frenetic, from the days when the sport offended Victorian virtues to now, where players have been scarcely fitter, the sport more refined. Football, then, has moved outward. Thomas Donohoe brought the beautiful game to Brazil; James Richardson Spensley imported it to Italy, where AC Milan and Juventus were gifted shirts by Notts County; and Mitchell Ince arrived in Egypt with a government job in the offing and a football under his arm. But it wasn’t just the British. 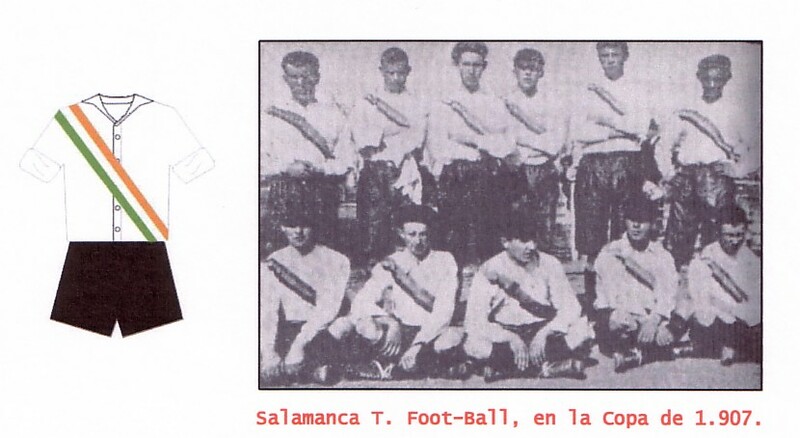 The first football club in Salamanca, in the picturesque north-west of Spain, was founded by Irish students. This coming together, this historical curiosity, was the culmination of an event that went back centuries. In the 16th Century, many Irish Catholics were welcomed into Spain. In modern parlance, they would be classed as political refugees because they were escaping the oppressive Penal Laws of the British Empire. Over the decades, many of these Irish saw their descendants rise through strata of Spanish society. Leopoldo O’Donnell, for instance, was one Spanish prime minister that had an obvious Gaelic link in his name. Salamanca has long had a connection to Ireland through the Irish College that was founded there in 1592. These institutions were offered as places where Irish people could teach and study, which were two things denied to them by the aforementioned Penal Laws. By 1905, the students of this College – by now officially part of Salamanca University, which is the oldest university in Spain – were like any student today, with a desire to indulge their love of sport in their free time. It was in that same year that those Irish students founded Helmántica FC. By 1907, there was a name change and an appearance in the Copa de su Majestad Alfonso XIII. 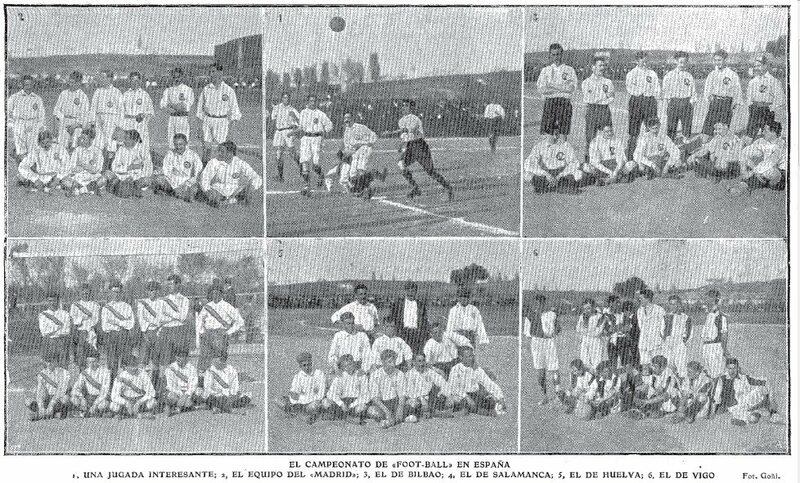 The young side – now called Salamanca Team Football – contested the Copa against a team from Madrid, which was the only side without foreigners, and ones from Huelva, Vigo and Vizcaya. The Irish students finished second-last in the competition, with two points. Madrid, as would become the norm, came out as winners, while Salamanca were narrowly beaten in a handful of the matches. The club folded not long after. Nevertheless, these pioneering players planted a seed in the local community. Football caught on pretty quickly, and Unión Deportiva Salamanca was until recently the modern incarnation of all those initial attempts at harnessing the nascent football will in La Dorada, this golden city of Spain. The living embodiment of all those long passed ambassadors, athletes and visionaries, with their dreams giving as much value to the jersey today as its twelve seasons in the top flight and the twelve trophies – 4 Segunda División B and 8 Tercera – they won over the course of their history. Sadly, the club disappeared in 2013 after 90 years of existence. 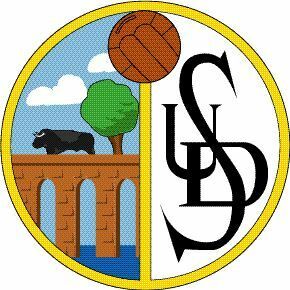 Nevertheless, the spirit of football is still alive in the city today as the Unionistas de Salamanca and Salamanca CF UDS are both in Segunda B. Over each of these clubs, the Irish students had a profound impact. 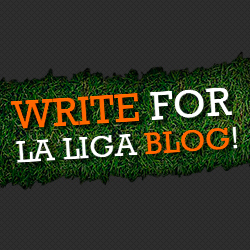 A modern blog which covers the sport in the city referred to this team of students as the ‘dawn’ of football in Salamanca. And to further show the Irish influence on various clubs from Salamanca, we can point to the white of their jerseys. It is a colour they share with that of the Irish national jersey of that period, which jumped between being blue, green and white. In the 1907 Copa, they wore a green and orange strip across the chest, which formed the tricolour of the Irish flag when set against the white of the jersey. A local news report commented favourably on the strength and technical ability of the Irish players, who apparently saw a lot of the ball in their cup matches. The team consisted of names such as Walsh, Donhouger, Tallen, O’Sullivan, Fahy, Wins, Doncey, Hugh, Reid and Killen. 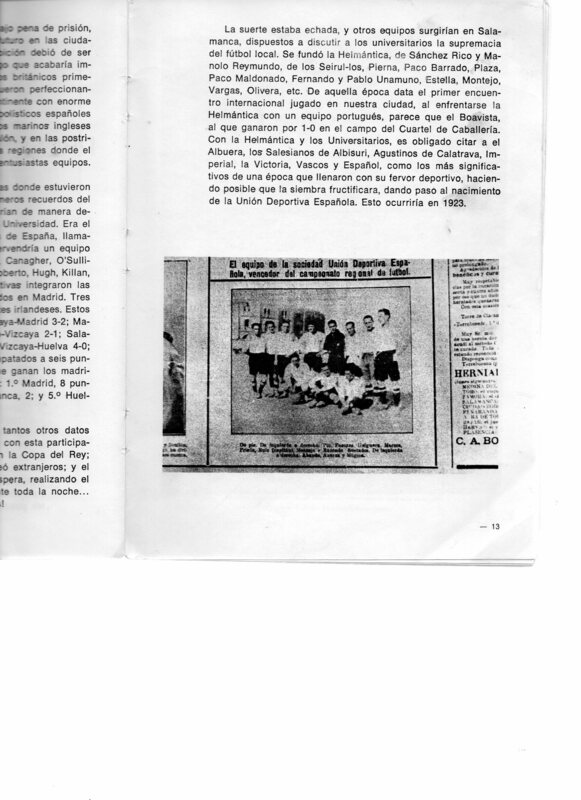 El Adelanto and other publications sang the praises of the team quite vociferously, and they sang from the same hymn sheet: these boys knew how to play football. The reports exclaimed that they played it as it should be played, almost like it was an early form of tiki-taka. As those sons of Hibernia and their club faded into memory, few would have pondered how their team was another link in a chain that connects both countries deeply. None would have predicted, for example, that Ireland would, at the time of writing, go on to play Spain 15 times and win only on four of those occasions. The Republic’s last win against La Furia Roja came in 1989. Where the team faltered, individuals thrived. Ian Harte, Kevin Moran and John Aldridge all enjoyed more fruitful times on Spanish pitches. Though it is a forgotten footnote in annals of the beautiful game, it was a minor yet important step toward football establishing itself as a global force, and one of the many, many threads that made everything that came after it possible, from Spain edging past the USSR in 1964, Fernando Torres’ dink over Jens Lehmann in 2008, and Andres Iniesta celebrating under the Johannesburg sky.